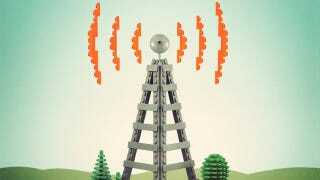 The Federal Communications Commission has finally voted to open up 10MHz of spectrum for "commercial mobile services"—that has until now been protected because of interference concerns. The spectrum block, sitting between 1915-1920MHz and 1995-2000MHz, is called the H block and could be ready for use as soon as early 2014. Previously the FCC has kept the spectrum clear because of concerns about interference with a nearby Personal Communication Service block.